After a period of time in free use mode, the QLOAD program can now be licensed in order to recieve support. 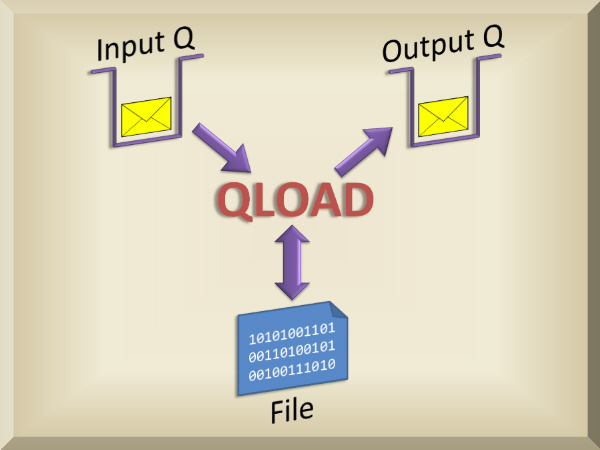 QLOAD is a program which allows you to be able to move or copy messages between queues and files. When selecting messages to move or copy, you can filter which messages to work with by message ID or correlation ID; or perhaps some part of the message content; or how old it is; plus many other criteria. You can download the program and the user manual from MQGem Website: QLOAD Webpage. Free use of QLOAD will expire at the end of September 2015, after which point you must have an MQGem licence to continue to use it. It should now be possible to run the latest version of QLOAD, with all it’s features, on older versions of Unix. QLOAD will load the MQ libraries from the place identified by setmqenv. For a long time QLOAD has enabled you to select messages based on age. However, now you can select based on an absolute time-stamp. So, you can now easily select those messages put ‘last week’, or yesterday. Have you ever wanted to get rid of those ‘large’ messages? Well now it’s easy. You can now easily remove all the low or high priority messages from a queue. The IBM MQ product allows messages to be got based on an SQL92 selection string that allows you to write sophisticated selection criteria. QLOAD now allows you to use these selections string. You can now explicitly state that you wish QLOAD to use Read Ahead or Async Put. This can increase the speed of QLOAD quite significantly when run over client connections. Sadly software bugs are a fact of life, this version has fixed all those reported to me. This entry was posted in MQGem tools, QLOAD by mqgem. Bookmark the permalink.